April, in Madeira, started under water and cold temperatures which made us cancel a few tours. Heavy rain is not good to watch birds and it is also not safe to go around the island, under the unstable cliffs which like to release some rocks on these wet days... So lets hope that better days will come and bring us some interesting bird species! March is the start of Spring and we can already watch some of the native birds displaying! It is also the start of migration northwards, so lets see if we get some eastern winds to blow some vagrant birds to Madeira. Happy New Year to all of you who read our Madeira birding news! This year started with light southerly winds which usually do not blow any migratory birds into Madeira but we'll keep looking for them! Madeira Archipelago offers good conditions to birdwatchers, not only in terms of breeding birds but also vagrant bird species. Though there are only 47 breeding species to these islands, about half of them are endemic species or subspecies to Madeira or to Macaronesia region (Madeira, Azores and Canary Islands). Madeira has three endemic species: Trocaz Pigeon Columba trocaz which is associated with the native forest of Madeira: the Laurel Forest; Madeira Firecrest Regulus madeirensis, normally observed on forested areas and the rare Zino's Petrel Pterodroma madeira, a threatened seabird that nests on the highest mountains of Madeira. Regarding the Macaronesia bird species, one may observe Fea's/Desertas Petrel Pterodroma feae/deserta, Madeiran Storm-petrel Oceanodroma castro, Atlantic Canary Serinus canaria, Berthelot's Pipit Anthus berthelotti and the Plain Swift Apus unicolor. One interesting feature of birding in Madeira is the high number of endemic subspecies from which the ornithological highlights go to the bluish Madeiran Chaffinch Fringilla coelebs maderensis and the darker colours of Barn Owl Tyto alba schmitzi and Grey Wagtail Motacilla cinerea schmitzi. However, seabirds are the major attraction for birdwatchers because there are several colonies of world importance. In Madeira archipelago one may find 8 breeding seabirds species namely the rare Pterodromas (P. feae and P. madeira), Barolo's Shearwater Puffinus baroli, Madeiran Storm-petrel Oceanodroma castro and White-faced Storm Petrel Pelagodroma marina hypoleuca. This last species being confined to breed in Selvagens Islands but observed offshore on Wind Birds' Pelagic Expeditions. 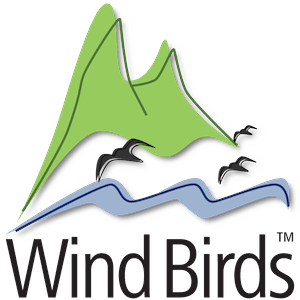 Join one of Wind Birds tours and you will see not only Madeira birds but also amazing landscapes which are out of the common tourist routes!